Youth Philanthropy Licking County is a new committee of the Licking County Foundation, in partnership with the Youth Leadership Council of Licking County, a program of Pathways of Central Ohio. Formed in 2017, committee membership is comprised of teens who also serve on the Youth Leadership Council, Foundation staff and board members. 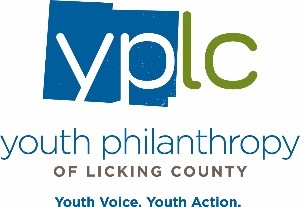 Youth Philanthropy of Licking County was created to empower young philanthropists to share time, talent, and treasure within their communities and support youth voice and action in Licking County. Youth Philanthropy of Licking County launched on April 20th, 2018 in conjunction with Global Youth Service Day, a 30-year worldwide initiative for youth-led service projects. YPLC members volunteered at PBJ Connections in Pataskala, Ohio. PBJ Connections addresses the need for culturally competent, client-centered mental health treatment.